Franklin Sanders provided the following ebook for the purpose of this TOS Schoolhouse Crew review. 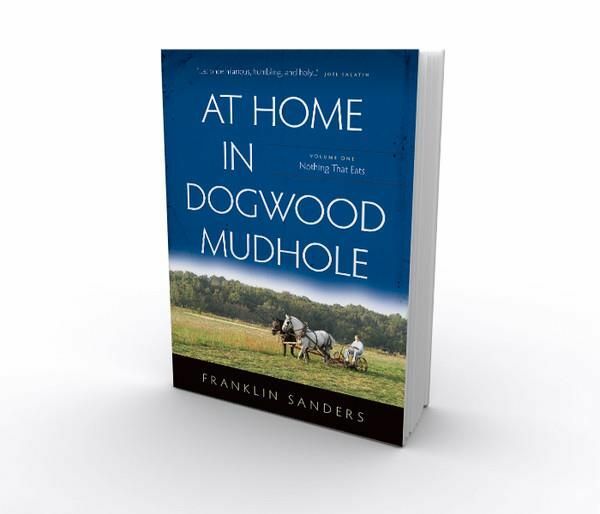 Franklin Sanders from At Home in Dogwood Mudhole Volume One: Nothing That Eats is available for $22.95 paperback or $16.95 for an ebook. 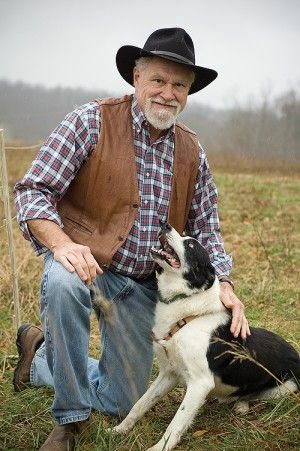 At Home in Dogwood Mudhole is not a handbook for how to live off the land, rather an insightful story of one multi-generational family sharing how they moved into a homestead lifestyle. Humor is a big part of this book as the author isn't afraid to laugh at himself as he shares about their experiences. I started the first chapter thinking I could learn a lot from them. I still think I can learn from them, but I have no desire whatsoever to buy a boar. At all. I think of boars as wild hogs. We have those and don't want them. I am however interested in the other living off the land stories and lessons. Our family returned to my Grandpa's farm several years ago. We are continuing to learn from him how to benefit from the land, but we are far from the lifestyle that is shared in this book. Lessons learned throughout their journey to a more independent lifestyle started in 1995 before the "Y2K" as originally shared in the author's newsletter The Moneychanger. Topics vary from the everyday circumstances to the unexpected; pets, the value of gold and taxes for trading it to butchering day are all shared about in a straightforward way. Things don't always progress as quickly as he plans, but the journey they share along the way is one filled with changes that made me think more about my own life, too. He shares so sweetly about his wife throughout the book, I love how his love for her is so evident. 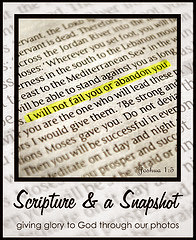 His love for God is shared throughout the pages, too, especially when sharing about things like his father's death. Each fall when we travel to visit my husband's parents, he makes a stop at a particular family owned store for their smoked ham and bacon.So when Franklin Sanders shared about the smoked meat he enjoyed so much, we all understood. The South's history is introduced briefly throughout the story in a way that makes me interested in reading more about each of the historical figures that he mentions. My girls enjoyed the pictures shared of the author and his family wearing period costumes from their Civil war reenactments and ball. The author's ideas about the dependence on government and big businesses isn't a view I see published often, though I have heard it discussed. Usually my leisure reading is fiction. This 379 page story was so entertaining, though, that it was an enjoyable relaxing book to read. We started the ebook together while on vacation. I read out loud while my husband drove, and the whole family listened. So much, like the cost of pet care after multiple vet visits, was interesting because our family could relate to what the author shared. See what other crew members shared in their reviews here. Volume 2: Best Thing We Ever Did is also now available from their website.